Apple announced this week it was launching a credit card that works with its virtual payment service, Apple Pay. The Apple Card is made of titanium and eliminates much of the information found on a typical card: no printed number, expiration date, or security code. The sleek design of the card follows in the footsteps of other aesthetically pleasing cards geared toward millennials, including the Chase Sapphire card, the Venmo card, and even the Magnises card from Billy McFarland of Fyre Festival fame. Apple has debuted a physical credit card to work with its virtual payment service, and people are taking notice of its sleek and minimalist design. The Apple Card, which the company announced Monday, is made of titanium and has no numbers on it. The physical card is designed to be used as an alternative to the digital version of the Apple Card — which lives inside the Wallet app on the iPhone — in places that don't accept Apple Pay. The Apple Card doesn't feature numbers printed across the front and back like a typical credit card. That means the 15- to 16-digit card number, the expiration date, and the 3- to 4-digit security code aren't found on the card. 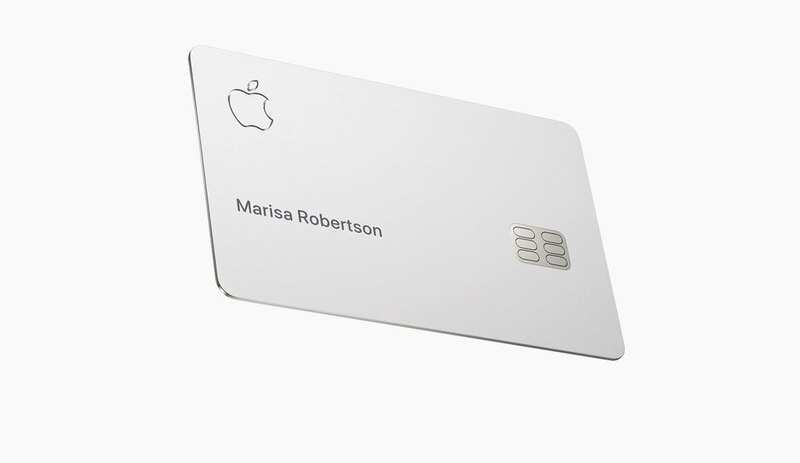 All the Apple Card has on it is the card holder's name, a chip, and an Apple icon in the left top corner, all on a minimalist off-white metal card.